For the many people who have been asking me why I would let myself be put forward for election to the Board of The Gemmological Association of Great Britain. I trust this blog post on 21st Century Gemmology will go some way to answering that question. I start with a quote from Jason Williams who was Chairman at the time of this quote. In one simple paragraph Jason Williams gave Gem A all the rationale it needed to recognise the future of the gemmological world. Strength in education, best practice principles, recognition of the future landscape of gems and jewellery, strategic partnerships, international alignment with global issues and a clear leadership position for the organisation. On 25 February 2015, he as Chairman supported by most of (but not all of) the Board, censored all CSR activity Gem A. They did a massive U-turn. Why? this of course remains a mystery. Jason and others argued it was not constitutional. Given the constitution and by-laws of Gem A did not change between December 2013 and February 2015, the only thing that can have changed was the Board’s resolve to be progressive and forward-looking. You cannot build a solid house on double-mindedness. To further entrench the Board’s lack of knowledge and attention to detail, Nigel Israel (who at the current time of writing is interim Chair) in his signed Council notes to the entire membership of Gem A wrote the following “The separate course referred to (here Nigel is talking about the CSR courses censored by the Board) was established by, and was to be run by, Greg Valerio, one of the nominees for election to the Council” This is factually incorrect, as the CSR courses had been in development with full Board knowledge throughout the duration of 2014 by members of staff and in partnership with Branded Trust an internationally leading Assurance & Best Practice management tool for jewellery brands, a full year before I was contracted by Gem A to look at best practice in chain of custody issues. How can the members trust official statements from the Board that are knowingly untrue? But enough of that, down to the real debate. Ethics – A quick overview. At the centre of the debate in gemstones and jewellery at the moment is ethics. There can be no discussion around ethics unless the discussion is rooted in truth. This is the philosophical and ontological foundation of all ethical discussion. What is the truth? The principles upon which ethical behaviour, whether individual or collective is three-fold. 1) The first pillar of ethical behaviour is natural justice, charity and generosity. * Combined these actions both benefit the individual person as well as their community, society or trade. What is important to note here is that ethics do not work effectively in a self-centred, self preferential or selfish environment. Where this kind of negative environment exists, the articulation of ethics becomes a disturbance to the self-preferential status quo and a prophetic call towards more openness, transparency and truth. 2) The second pillar of ethical behaviour is respect, or put another way, treating people as you would like to be treated yourself. This simple idea translates to every area of life and includes business and the sciences. I recently listened to a long-standing member of the current Board of Gem A say, ‘We don’t do CSR, we only do the science of gemmology’. Divorcing ethics and science is a very dangerous practice, as in its extreme we end up justifying nuclear warheads, human experimentation, cosmetic testing on animals and other such atrocities. Put another way, we could say ‘I don’t care if this stone comes from indentured slave labour, I only do the science’. We should all, and of course do, deeply care about how we treat people. This applies to gemmology as well. Science should never be used to avoid the truth of a situation. 3) The third pillar of ethical behaviour is the idea of utilitarianism. Where natural justice, charity, generosity and respect are present, we can say a utilitarian outcome is possible. An environment and culture where the greatest happiness can be achieved for the benefit of the greatest number of people. Surely this is an outcome we all want for everyone in the gemstone world, whether miner, trader, student, staff member or Board member. A happy gemstone world that benefits everyone. When it comes the material question at hand, ‘Where should Gem A be positioned in all this?’ We should simply refer to its own constitution and its own internal statements about being ethical, as well as it wider commitment to affiliate with the CIBJO code of conduct. (I highlight important areas for consideration). a. The Gem Code is a basic Code of Practice for fair and honest gem descriptions and disclosures. Adherence to the Gem Code is expected of all Members and is one of the conditions of being a Corporate Member of the Association. The Gem Code applies at every level of the trade. b. CIBJO (World Jewellery Confederation) guidelines and definitions are taken as defining best practice and will be the reference used in the event of a dispute that cannot be resolved by mutual or mediated agreement on the basis of the Gem Code given below. 3. The Charity’s objects (the Objects) are to advance the art and science of gemmology in particular by education and training. In this Memorandum and Articles of Association, the expression ‘Gemmology’ shall include matters concerned with precious gem materials and the decorative and industrial arts which employ them. · the injury and hardship suffered by local populations (and the potential for it) when conflicts arise in gemstone producing areas are unacceptable, as is seeking to profit from such conflicts. So was the censorship of the CSR programme in February 2015 unconstitutional? Both in terms of its own internal objectives as well as in the broader context of the use of the word ethical and the issues facing the gemstone world today, I believe it was. I do understand that ethics and CSR are complex issues that need explanation and intelligence to negotiate. What the censorship of ethics and CSR in Gem A proves is that the Board was double minded, overly simplistic, and lacked a willingness to engage in the intelligent exploration of what CSR within Gem A could look like. Weakness of leadership? I think so. Anyone with their eyes and ears open will know that the world of diamonds, gemstones and jewellery is changing. The legislative landscape, consumer awareness of the problems in the jewellery supply chain and broader civil society groups demanding transparency and disclosure are becoming the educative and commercial environment we must all live in. Gem A may have historically chosen to define itself along a narrow definition of being gem science only. But the new world demands gemmology is more than a one-dimensional single issue scientific understanding of gemstones. The ethical nature of a gemstone is as much to do with its social context, and its environmental provenance as it is with its scientific mineral composition. These things are not mutually exclusive, they are in fact proudly complimentary. Education is the primary platform that Gem A is built on. To avoid teaching the ethics of gemmology to students is in fact failing in the primary duty of care of any education establishment, which is to prepare its students for the real world of life and commerce. Gem A should not bury its head where the sun don’t shine and pretend everything is alright. And those that promote a ‘science only approach’ are simply living in the dark ages. Having a strong ethics programme at the heart of Gem A is an exciting and wonderful opportunity. We can be teaching the science of gemmology, the ethical issues in gemstones, supply chain management issues, transparency and traceability (another way of saying disclosure), chain of custody, provenance and origin and so much more. This is the gemmology of the 21st century. This is the progressive agenda in gemmology and would place Gem A in a league of its own, way out ahead of its competitors. For Gem A to stand still, retain its focus on 19th century educational values is clearly not in the interests of the organisation, the interests of the students (who all go to work in the jewellery profession where these issues are central to the efficacy of business) and quite simply will mean Gem A will become an irrelevant institution rooted in the Jurassic period of gemmology. These kind of marginal and antiquated voices must have no role in the future of gemmology at any level. The current Gem A Board have been clear in this articulation. They have said there is no room in Gem A for progressive vision, no room for ethical discussion. This is simply not intelligent. Gem A must embrace the new world, the new opportunities and become a progressive organisation and the authoritative custodian of gems and gemmology in all of their manifestations. Of course we must talk about the source. If the stone that we scientifically analyse comes from slave labour it is profoundly unethical of us to ignore this. Of course we must engage in the science of gemmology. The very fabric, mineralogy and composition of that which has been created as a gemstone is a wonder to explore and a natural beauty to behold and be celebrated. Of course we must engage in supply chain issues, mine to market traceability is best business practice and something our students should be fully versed in. This is the new and emerging currency in jewellery, and there is no gemstone industry without the jewellery buying public. As gemstone experts, who is better placed to champion colour, certainly not generic trade associations who are constantly distracted by other issues. Of course we must be consumer champions for coloured gemstones. What does the consumer look for? What questions should the consumer be asking the jeweller to ensure the very best quality of purchase? 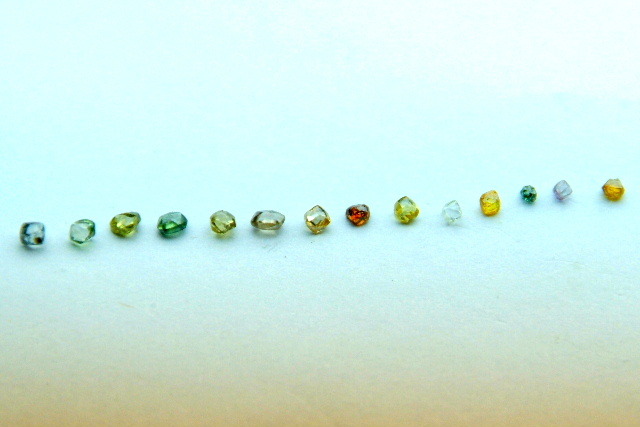 What information does the jeweller need to sell with integrity coloured gemstones to the public? These and more are all issues material to an ethical best practice in gemmology. Gem A faces a choice. Remain in the past or shape the future, better still be the future. The historic Board have clearly chosen the path of historical obscurity, the status quo, censorship of CSR, and a litigious soullessness. The new Board must embody the progressive values of change, and this can only happen if progressive people are elected to the Board. Progressiveness is not a concept, it is people and Gem A need people on the Board who truly understand this. Ethics, integrity and CSR, as well as science are the future. I hope and pray that the members of Gem A, scattered across the continents of the world choose a future that includes, natural justice, generosity, openness, respect, and utilitarianism. So I conclude my article with a quote from Jason Williams (Chairman) to James Riley (CEO) [at time of quote]. ‘For the record, I am very supportive of Gem A’s involvement in CSR and applaud your efforts in these endeavours’. September 2014. So this is why I am standing for the Board of Gem A, so we can move beyond single issue Board members who only focus on teaching science and embrace a wholistic gemmology for everyone in the gemstone supply chain. A gemmology that benefits everyone from mine to market and delivers the best prepared students in the gem and jewellery world. Therefore I am asking everyone who can vote in the postponed election on the new date of 26 August to vote for Ronnie Bauer, Alberto Scarani, Kathryn Bonnano, John Bradshaw, Michael Hoare, Guy Clutterbuck and myself Greg Valerio. Next Post Gem A - Mis-information on Board papers. Excellent post Greg, I am not sure how Gem-A could discuss issues on the World Stage with other international partners if they did not embrace CSR deep into the ethos of the business. I was reading just last night, a post from Marion Wilson of Anchorcert where many CSR, Education & Ethical issues were being discussed, The post did mention the badly missed CEO as being present (not sure about that) but Gem-A would surely be sidelined in the future if it continues to follow the path it appears to be on. excellent review. hopefully many will have access to this post. I hope Gem-A moves forward with the three pillars you outlined. it must be the future…………. Always forthright and thought provoking. Thank you for your advocacy and hard work!